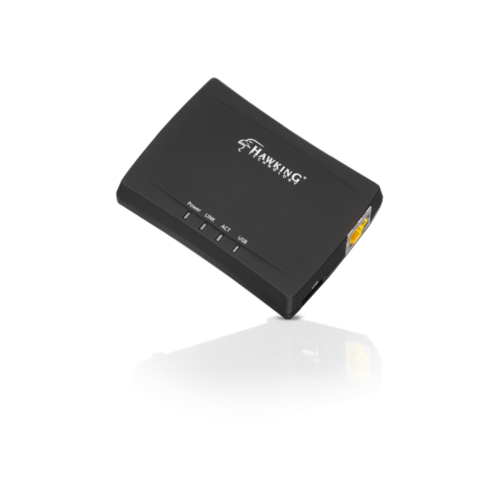 The Hawking HMPS1U USB Print Server is a powerful and convenient tool to share your USB printer (standard or multi-function) with multiple computers. There is no need to have a dedicated computer to share a printer. The HMPS1U lets you to print and scan from any computer on your network, saving you the cost of having multiple printers or the trouble of manually sharing one printer with multiple computers. Print and save from any computer on your network with the HMPS1U. 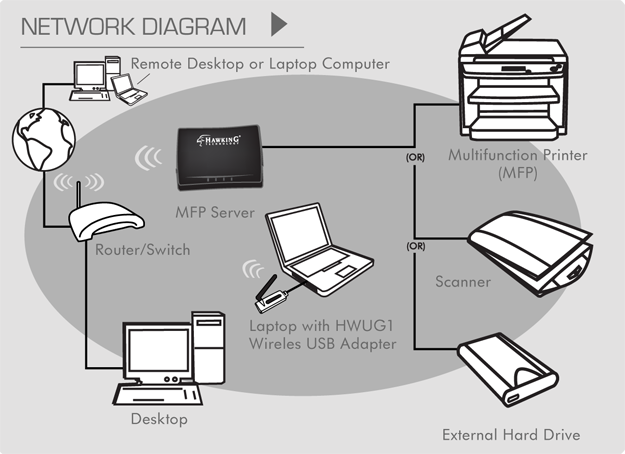 The HMPS1U USB Print Server consolidates your USB printer and allows you to access them from any computers on your network. First, connect your HMPS1U to your Network using a wired connection. Then, connect your USB device to the HMPS1U and then install our software to connect to your USB device. Now, access your USB devices using any devices on your network (laptop or desktop). What is the default ip address to log into the Print Server and what is the username and password? How to check if my printer is compatible with the print server? The HMPS1u should work with any printers as long as your computer's operating system supports that printer. How to check the compatibility between Print Server and operating system? The HMPS1u only supports Windows operating systems. How to reset the device to factory default settings? Hold the reset (INIT) button which on the side of the device for 30 seconds. What should I do if my printer is not listed under the print server in the control center? 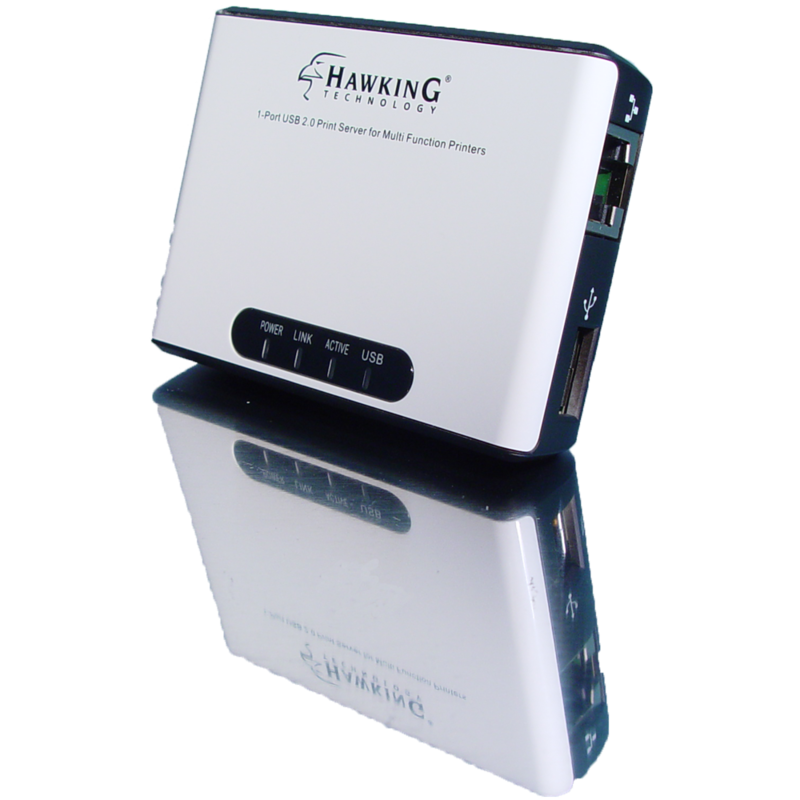 Try updating the firmware for the Print Server from www.hawkingtech.com and also try uninstalling the old control center utility and reinstall control center from the website. Download the firmware file from the Hawking website for the Print Server. Log into web interface page of the Print Server with its IP address, Go to configure -->maintenance and select the firmware file to upgrade the firmware. I can't uninstall the software. I run uninstall but nothing happens. If this happens, run the original install program you used. It will ask you to repair or remove the software. Click remove and the software will automatically uninstall from your system. I want to share a USB drive with multiple computers at the same time but I do not want to use the control center. What do I do? If you want to access a external USB drive at the same time from multiple computers, you can set up the HMPS1U in Server Mode. Login the the settings page, go to Config, look under General. Look for Storage Access Mode. Select the "Server Mode". Using it this way, it will show up as a regular drive on the network. Note: the drive must be formated in Fat/Fat32 format to use in server mode.